Over 100 years of history and traditions. Come be a part of our future! Camp Dixie is a traditional summer camp for boys and girls located in the Blue Ridge Mountains of Northeast Georgia. Camp Dixie is a small private residential camp founded by A.A. Jameson in 1914. Babes in the Woods: Signup is closed. For 100 years, generations of families have enjoyed the traditions and shared the memories of their summers at Camp Dixie. Our rich history and limited enrollment are what sets us apart from other camps. Limiting our enrollment to around 70 campers, ages 6 to 15, allows us to emphasize the “family” atmosphere that we feel is so important. While providing a safe and supportive environment, Camp Dixie creates a unique setting where campers can make new friends and learn new skills, while learning more about themselves. Camp Dixie is located just 113 miles northeast of Atlanta. We are situated on 350 acres at an elevation of about 3000 feet in the Blue Ridge Mountains of northeast Georgia. 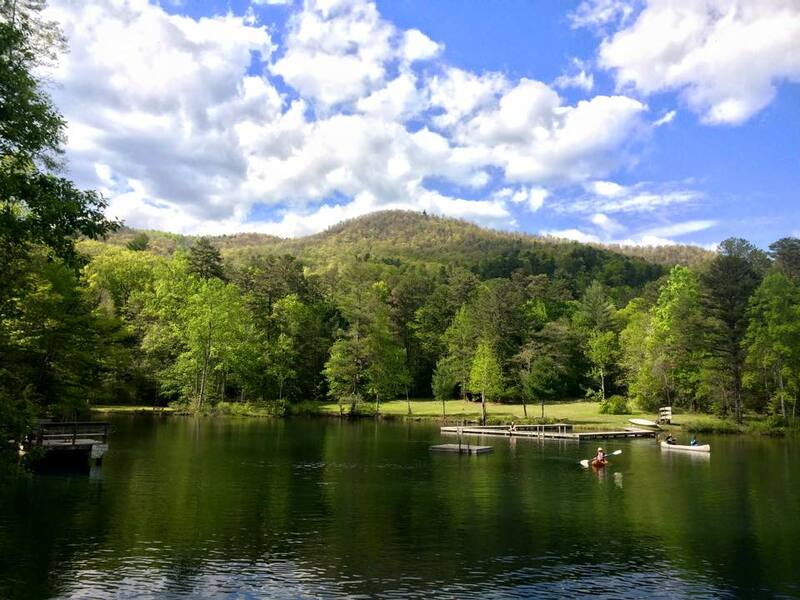 Our private spring-fed lake is ideal for swimming and learning to canoe and kayak. The camp is surrounded by preserved forest with Black Rock State Park to the east and U.S. Forest Service land to the North. Where is Camp Dixie located? What do other parents say about your summer camp? When did Camp Dixie start? Would you like to hear from Alumni?